Should I Spend A Lot On A Bike? Buying a bike sometimes make people think that the more they spend the better the bike. Or the name brand of the bike is better than the next. There are other questions that should come to mind way before the cost. Don’t let all the product hype lead you to ask yourself should I spend a lot on a bike. If you really think about it a bike is a bike, it just depends on what you are doing with it. Most of us that ride bikes are really casual riders. We like to get out and ride with friends, family or riding partners or groups. Some of us just get a bike to commute to and from to keep a cardio workout in our lives. There are plenty of good bikes available for the average rider without breaking the bank. If you really think about it, one bike does the same as the other except maybe have more gears and is designed differently. So the cost should be practical to the rider. One thing you would have to think about is the type of bikes such as a mountain, road, cruiser or Ebike. 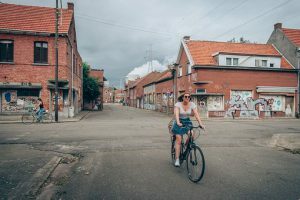 So depending on the type of riding you will be doing, it will have an impact on deciding what kind of bike you should get before you get into the price. And when you do there is no need to spend a small fortune. If you are not riding cycles as a professional there is really no need to dig deep into your pocket for a bike. One thing to look at is that you are just recreational riding or commuting. A professional has to be concerned about all the advanced features of a bike. Not only that, if you are a real professional you most likely have sponsors and cost won’t really affect you anyway. So now you know why there are high-end and low-end bikes. Like with all things there are different levels a person puts themselves in. An advanced cyclist usually has people who are riding with them and they might do tour riding or are just into the high-end market because they like to keep up with all the new advanced bikes. Needless to say, you have to have a strong budget. I was reading an article where a company called Argonaut Cycles, which is a custom bike manufacturer, is testing one of its newest bicycles. They are good at manufacturing bikes to fit what a person wants from a bicycle. They believe in building bikes that nothing else can compare to them. But for the advanced rider, they seek out what a bike can offer to fit their needs. And they will pay the price for it. The Argonaut bikes start out at $14,000 and I don’t think the average rider is trying to do that. So should you spend a lot on a bike? I will say if that is what you want to do. But take into consideration the level of riding you put yourself in. There are plenty of bikes that you would love that are low-end and will give you the ride of your life. I rode around on a Mongoose bike for years with a little seat modification and seat post height modification. It did me well and I put a lot of miles on it and only had to replace a tire or two. But you can believe I came nowhere near even $400.00 for a bike. I just recently put a Schwinn bike in the layaway because I ran into it and it felt good and it was time for a change this summer. And yes, I still came nowhere near $400.00. So with that being said, unless you ride on a professional level or you just desire to have a high-end bike then no, you don’t have to spend a lot on a bike. 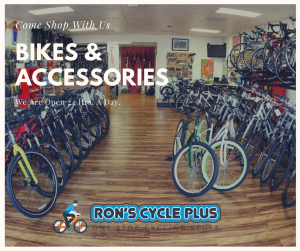 While you are here take a look at Ron’s Cycle Plus. You can find some decent bikes for the average rider there. I want to thank you for visiting and all questions and comments are always welcome. You might even have some good input on the subject. I am an average rider where you might not be and have something to share. So don’t forget to use the comments section below. ← Bicycle Parking Facilities? Is It A Good Idea? You are welcome, Tammy. Yes, that is an expensive bike. I will just be frank. Unless you are professionally riding, you don’t have to spend a lot of money on a bike. They all do the same thing. Some components may be more advanced than others but they have the same functions. For the average rider, a low-end bike will do just fine. 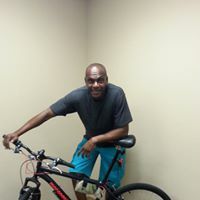 Thank you for such a great post I am currently looking for a bike for my son. I was also looking into practicality and pricing. It’s not something to just do on a whim because the bike we want can go into 100’s of dollars. You offer so much info here. Thank you so much an no doubt I will be back online later asking some questions. Thank you, Deb. I try to have as much information on many things because everyone has different ways to enjoy cycling. I hope you find the perfect bike for your son. If I can be of any help I would be delighted to do so. My girlfriend wants to start biking on trails in the park. I’m looking at getting two bikes. Once for me and the other one for her. I want something that will last for awhile. Also, I don’t want to spend over 400 for each bike. Are there any specific brands of bikes you recommend? There are a lot of bikes that you can get if your range is $400. You can get a low-end Schwinn. They are nice bikes. I rode a Mongoose for about 3 years and was still riding it when I got my Schwinn. I say they are like cars. If you take care of them they will last. Take a look around my store for this site. I am sure you will find something in your price range. Click Here. Hi Ron. Thanks for this very informative article. I’m just a recreational rider myself so the Argonaut bikes… starting at $14,000, phew that’s way out of my scope! Do people actually purchase a bike for that kinda money?! If they do it seems to me they have too much money on their hands. Around $400 is more my range. And $400 would be a good buy for someone who rides for recreation. I rode a mongoose bike for years and it was nowhere near the price of $400.00. And it served my purpose with no problem. But there are some people who obtain a bike in this range from sponsors or they just have the money to toy around with. I myself feel they all have the same thing and you get around with the same things which are pedals and a chain. But that’s just me!